Since 1989, Jeff’s Removal & Recycling has specialized in Residential and Commercial Car and Truck Hauling, Machinery Hauling, and Professional Handyman Help. With our experience and high service standards, our client’s are guaranteed a wonderful experience every time. From cars and trucks to commercial restaurant equipment, Jeff’s Removal & Recycling hauls it all! Our fully licensed and insured vehicles and junk removal company handles vehicles and machinery of all sizes. Jeff’s Removal and Recycling Co. has been recycling vehicles on the South Shore since 1989. We are your local Go-To junk yard for fast courteous pick up of your junk car or truck. Always paying cash for complete junk or used vehicles. We’re not the biggest, but we are the best and fastest way to get that old car, or truck gone. Please call to arrange a pick up today and start using that parking space again. We also offer used auto and truck parts for sale plus used tires and wheels for a variety of vehicles. Towing and transportation of machinery and equipment such as forklifts and the like. We can also remove old campers and boats under 25 feet for a fee. 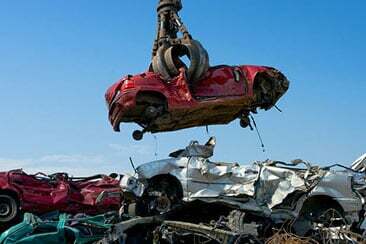 Contact us for more details about our machinery recycling and junk car removal services.